I thought Biscoff spread is a type of peanut butter. Or almond butter. Or something like that. I had no idea it is this amazing spread that tastes like cookies. I might even go far enough to say it’s better than Nutella. Might. But don’t quote me. So I have seen others posting recipes using Biscoff but had not yet ventured into buying it myself. Then a friend told me it was at Kroger, so of course I had to stop by and get it (and a few other things too). I opened the jar right up, and took a sample. Yes, by sample I mean 3 large spoonfuls. Then I cut up an apple and dipped that too. And, I may have cried a tear or two that the jar was now half gone and I haven’t even shared or made anything, and I’ve been home from the grocery store for less than an hour. Fast forward one day. Or 8 hours I should say. I woke up wanting more Biscoff. I’m sure there is some sort of addictive quality to this stuff that keeps you coming back for more. I was hooked. And I made this for breakfast… (took 5 minutes to make, and only 10 to cook…just the cure for an addict like me). 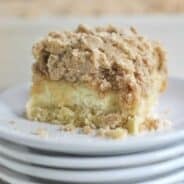 In mixer, blend cream cheese, Biscoff and sugar until creamy. Mix in egg. Set aside. Flatten your slices of bread (I used my hands, but you can use a rolling pin if you choose). Spread cream cheese mixture on each slice, dividing evenly. 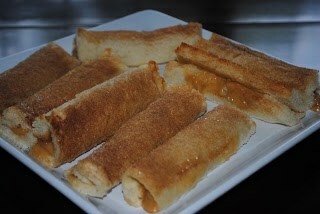 Roll slices of bread up (mine rolled up lengthwise because I used country white bread). Place seam side down in 13x9 baking dish. Mix 1 Tbsp sugar and cinnamon together in small bowl. Brush melted butter on tops of bread and sprinkle GENEROUSLY with cinnamon sugar mixture. Bake in a 400 degree oven for 10 minutes. Remove and eat warm. Enjoy! You have me very curious about this spread. Will look for it today. Thanks for stopping by and leaving a comment about the teriyaki chicken. Don’t you love Pinterest? Penny, Pinterest is my other new addiction! Thanks for coming by, and you must try the Biscoff if you find it! I’m going to have to try this spread. What a creative idea to use roll it up in bread. I’m always trying to find the perfect dough to wrap things up in, and I’ve never thought of just using bread. Robin, the bread didn’t even taste like bread. The cinnamon sugar “crust” made it out of this world! Plus it was so fast and easy, can’t beat that sometimes! 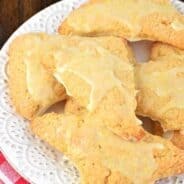 Is Biscoff spread anything like the cookies? If so, I’ve got to find it! Oh my. I have never heard of biscoff spread but, now I am going to have to search for it. 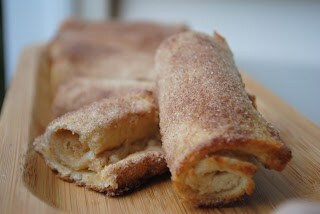 I have never made french toast rolls but, I know this is a breakfast my kids will eat. I have a serious list of your recipes I need to try STAT. Candy- YES! It’s made from the Biscoff cookies!! Kirsteen- keep your eye out for it, otherwise I know you can order it online! Allison- you’re so funny and sweet! Keep your eye for the Biscoff, you won’t be disappointed! Yes, please! 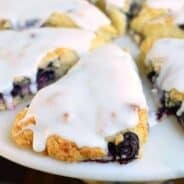 🙂 I would love it if you shared it on Makin’ You Crave Monday over at my blog, MrsHappyHomemaker.com!! Oh my- how did you know this was missing in my life! I kid you not when I say that I have found an almond spread which tastes sooooo wonderful, even better than Nutella, and it’s at Aldi’s of all places! I kid you not, it’s like tasting the most wonderful smooth fudge in the universe!